Lawrence Loh is Music Director of Symphoria (Syracuse, NY) and the West Virginia Symphony. Loh concluded his 12-year tenure as Music Director of the Northeastern Pennsylvania Philharmonic in 2017. Loh’s had a decade-plus association with the Pittsburgh Symphony Orchestra where he currently leads annual pops and other select programs. Loh’s previous positions include: Artistic Director and Principal Conductor of the Syracuse Opera; Resident Conductor of the Pittsburgh Symphony Orchestra; Music Director of the Pittsburgh Youth Symphony Orchestra; Associate Conductor of the Dallas Symphony Orchestra; Associate Conductor of the Colorado Symphony Orchestra and Music Director of the Denver Young Artists Orchestra. Having a particular affinity for pops programming, Lawrence Loh has been engaged for repeat performances with Chris Botti, Idina Menzel, Ann Hampton Callaway, the Texas Tenors and more. He has assisted John Williams on multiple occasions and conducted numerous sold out John Williams tribute concerts. He is particularly adept at conducting concerts synchronizing live orchestral music with film and has led Star Wars Ep. IV, Jaws, Pixar in Concert, Disney in Concert, Wizard of Oz and Singin’ in the Rain among others. 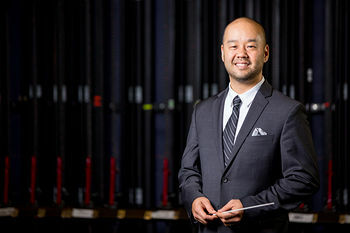 Lawrence Loh is active as a guest conductor, both in the U.S. and abroad including engagements this season with the Seattle Symphony; San Diego Symphony and the Albany Symphony. Recent engagements include the National (Washington D.C.), Indianapolis, Tacoma, Naples, Knoxville, Florida, Dallas, El Paso, San Luis Obispo, Edmonton, Colorado, Charleston (SC), Detroit, Malaysia, Daejeon (South Korea), and Greater Bridgeport Orchestras. His summer appearances include the festivals of Bravo Vail Valley, Aspen (CO), Mann Center in Philadelphia, Breckenridge, Las Vegas, Hot Springs (AR), the Kinhaven Music School (VT) and the Performing Arts Institute (PA). In the summer of 2016, he made his debut at Tanglewood, conducting Shostakovich’s 5th Symphony with the Boston University Tanglewood Institute Young Artists Orchestra. 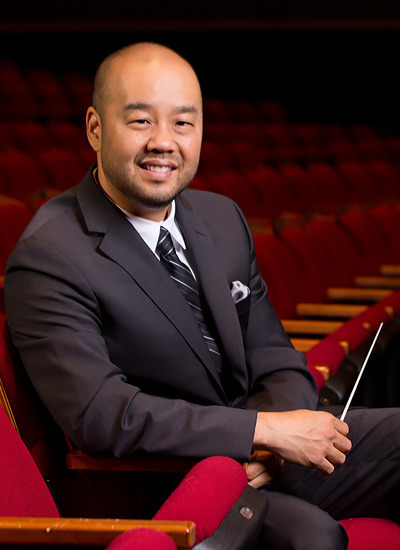 Lawrence Loh received his Artist Diploma in Orchestral Conducting from Yale, his Masters in Choral Conducting from Indiana University and his BA, and Certificate of Management Studies, from the University of Rochester.